When a ragtag band of heroes journeys to the edge of the world in the next episode of Game of Thrones, it’s bound to be harrowing. This fan trailer imagines it as Suicide Squad by way of The Magnificent Seven. 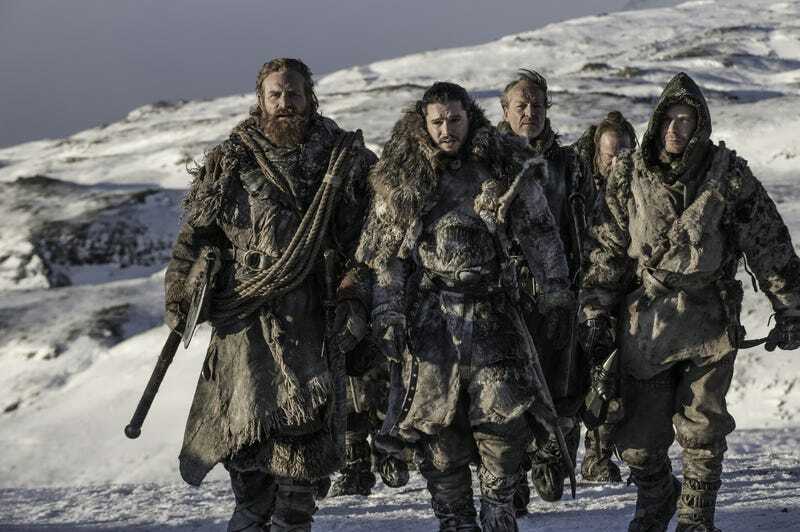 The upcoming penultimate episode of season seven of Game of Thrones is titled “Beyond the Wall,” which by itself is enough to get the blood pumping. The premise is even more harrowing: a small band of heroes (if you can call them all that) led by Jon Snow journey beyond the wall to bring proof of the White Walkers back to Daenerys. Because the only thing scarier than an incoming army of ice zombies is an incoming army of ice zombies that people don’t believe is real. YouTube creator Nick Growall turns the energy of that premise into a striking fan trailer cut in the style of superhero film trailers. It’s well edited, calling together Jon Snow’s seven-man band like the Westerosi Justice League we know (or hope) they are. It even hits all the right trailer music cliches, featuring both The White Stripes and Led Zeppelin. If you’re a lapsed viewer, or just looking to get hyped before the episode airs this evening, Nick’s trailer also works as a handy recap to get you up to speed. It’s below.